Found 8 file extension associations related to EnSight and 4 file formats developed specifically for use with EnSight. Are you seeing all you should see in your engineering and scientific postprocessing? If not, then EnSight is the tool for you. With the largest set of features of any visualization/post-processing tool in existence, EnSight lets you see what you've been unable to display and document in the past. An icon-based user interface allows you to learn the program quickly and to move easily into layers of increased functionality. 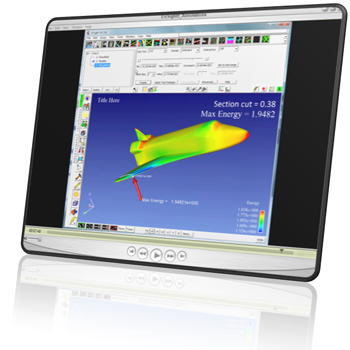 Plus, EnSight works on all major computing platforms and supports interfaces to most major CAE programs and data formats. If you need more information please contact the developers of EnSight (CEI), or check out their product website.